My mom Sam has a special fondness for Perth because she remembers when Perth residents lit their house lights and streetlights as astronaut John Glenn passed overhead while orbiting the earth on Friendship 7 in 1962 and then again in the Space Shuttle in 1998. This act of illumination earned the city the nickname: City of Light. MEET (Cool Meet Ups) – Kings Park & Botanic Garden. One of the world’s largest inner city parks, Kings features more than 3,000 species of the state’s native flora. I met friends for breakfast one morning and got to take in the glorious view of the city. Really a lovely spot. EAT (Tasty Eats) – Margaret River Wine Region. Grape vines weren’t introduced in the Margaret River Valley until 1967 but since then it’s become a hugely popular producer with 200+ wineries capturing more than 20% of Australia’s premium wine market. When certainly did a bit of wine tasting, but there were other treats to be had, including craft breweries, chocolates, and all types of locally produced cheeses and meat products. A bit of a drive from Perth, it was nevertheless a lovely day out in the country, worthy of a first-class picnic for sure! Known as “Rotto” in the local vernacular, the island is a nature reserve offering beaches galore. While many bike around the island’s secluded bays, we opted for the hop on / hop off bus to take in all the sites before spending the afternoon in Little Pelican Bay, a small spot of sheer beauty! SHOP (Gotta Have) – Freemantle Market. Freemantle is the city’s port town and only a short ½ hour subway ride away from Perth CBD. The famous market hall opened in 1902 and still offers an eclectic mix of food products and tourist knickknacks. We tooled around for a while, but much preferred hanging out in the art galleries situated on neighboring streets. ACTIVITY (Gotta Do) – Stromatolites. 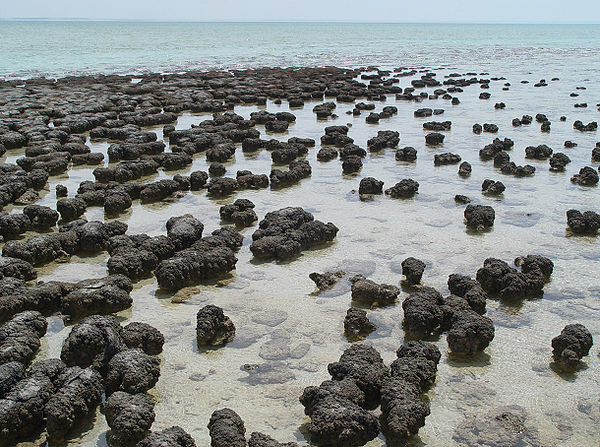 Stromatolites are composed of bacteria and algae and are the oldest living organisms on the planet. Hamelin Pool, just north of Perth at Shark’s Bay, has twice the saline of the surrounding salt water which allows stromatolites to flourish hre undisturbed. Unfortunately, I didn’t hear about this special place until after I had left Perth. If I had, I would certainly have tried to make the trip out because really how often to you get to see a living creature that’s more than 3.5 billion years old? My kind of outing. GIVE (Greatest Need) – Stop the Shark Cull. Perth what are you doing?! Just this month WA has launched a controversial shark cull aimed at ridding the coast of tiger sharks, bull sharks, and the protected Great White shark. The first shark caught last week was lured by bait fisherman, captured and shot in the head 4 times before being thrown back in the water – a barbaric emotional response to a native species simple living in its natural environment. Want to help stop the shark cull? Sign this Greenpeace petition like I did! ENJOY (Extra Fun) – Quokkas. A quokka is genetically similar to a rat, but way cuter. These furry creatures inhabit Rottnest and a few other islands of the WA coast. Quokkas look like small kangaroos, but are shorter and stockier with round ears. We saw quokkas all over Rottnest, coming up and sniffing the butts of sunbathers. Most just turned around at petted them. Causing harm to a quokka can cost you up to $2,000 in fines. So be nice to the cute quokka! This entry was posted on Thursday, January 30th, 2014 and is filed under Asia Pacific.